Samira Wiley attends the 29th Annual GLAAD Media Awards at The Hilton Midtown on May 5, 2018 in New York City. 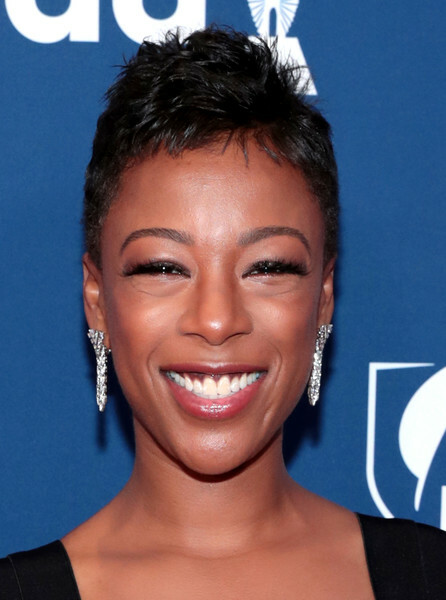 Samira Wiley's dangling diamond earrings made a glam contrast to her edgy haircut. Samira Wiley rocked spiked hair at the 2018 GLAAD Media Awards.